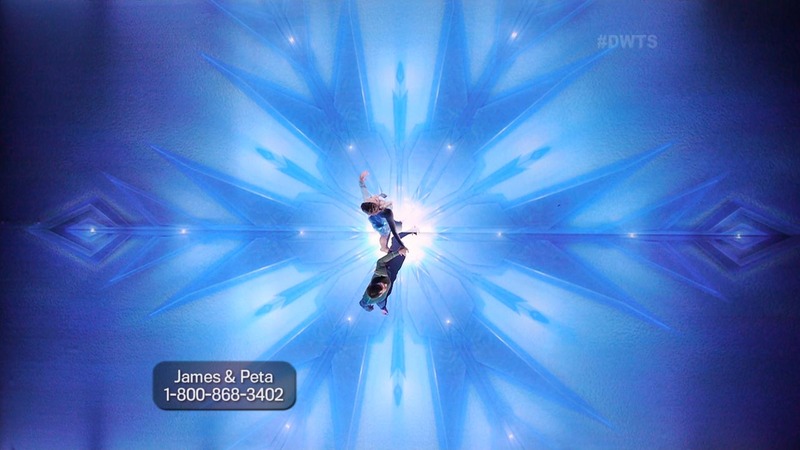 For this particular performance, DWTS wanted to challenge the boundaries of broadcast television by introducing augmented reality. Augmented Reality is an engaging experience that allows viewers at home to see an entirely different world digitally appear. This version of Augmented Reality involved real-time compositing in camera, catering to the live final performance. 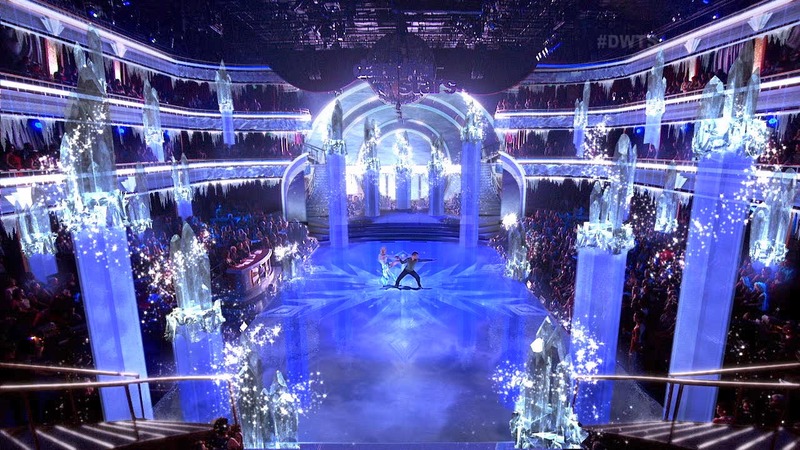 Since this dance piece centered around the famous Frozen song, ‘Let It Go’, we channeled iridescent, icy creations in the backdrop screen, overhead dance floor projection and Augmented Reality animations. As the music intensifies, Elsa’s illuminated castle of shimmering grandeur emerges from the ground, all intentionally mapped to the layout of the entire space.